#MeadowCreekFire | Idaho | New! 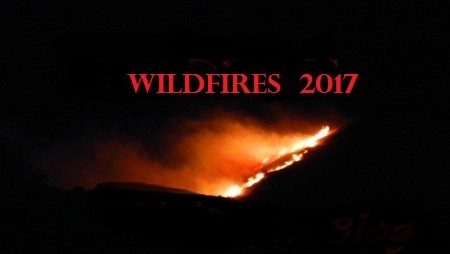 Summary : A newly reported wildfire called the Meadow Creek Fire was reported on Tuesday, July 11, 2017, which is burning on BLM’s Twin Falls District about 8 miles E of Sublet, Idaho. Fire fuels include hardwood litter, brush and short grass. Current Conditions : Extreme fire behavior with running. Sage-grouse habitat threatened. 600 acres. 0% containment. Resources : There are currently 51 personnel on the fire line with 1 crew and 5 engines. Cost-to-Date : Current fire suppression and containment costs have reached up to $10,000. ← #FaradFire | California | New!